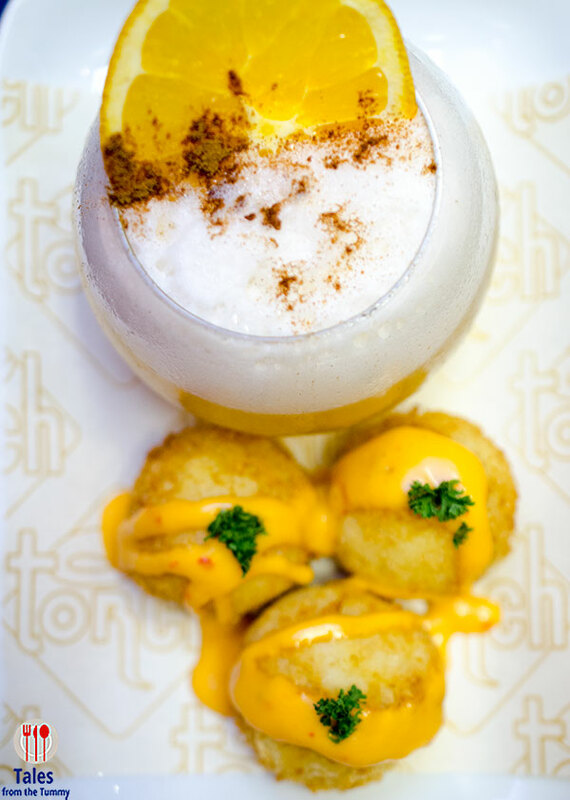 Torch recently introduced their new line of noritacos and elevated cocktails. 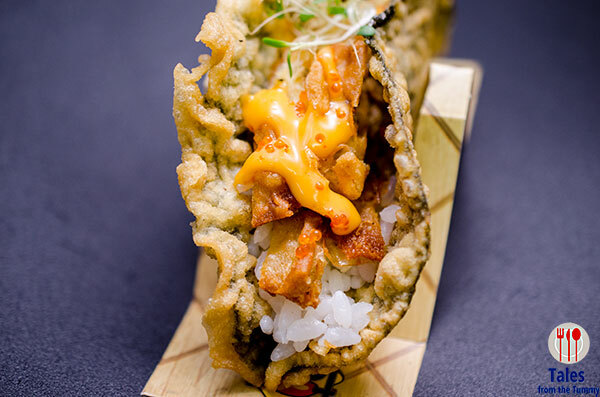 A noritaco takes sushi ingredients and marries it to a seaweed shaped like a taco shell. There are a total of 8 different noritaco variants you can pick from. 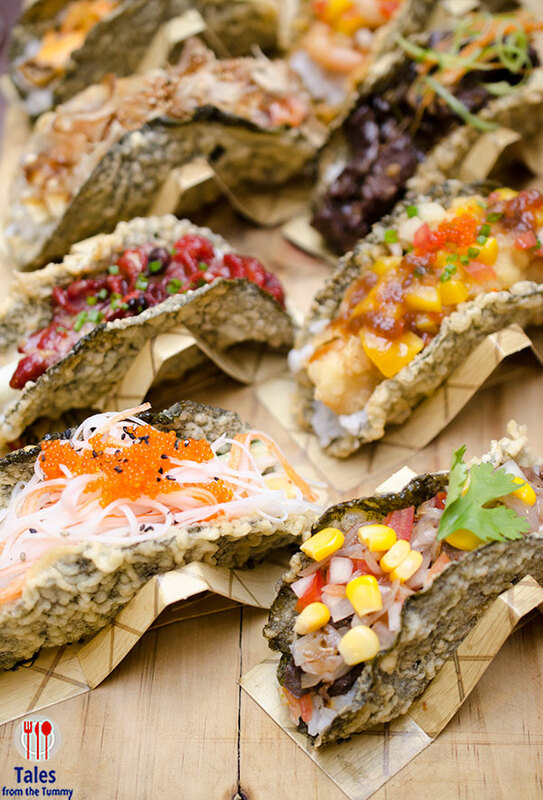 The Kumo (P172.95/1pc, P324.95/2 pcs) has fried soft shell crab, spicy mango, alfalfa and tobiko. The Hotto Ebi (P137.95/1pc, P254.95/2 pcs). 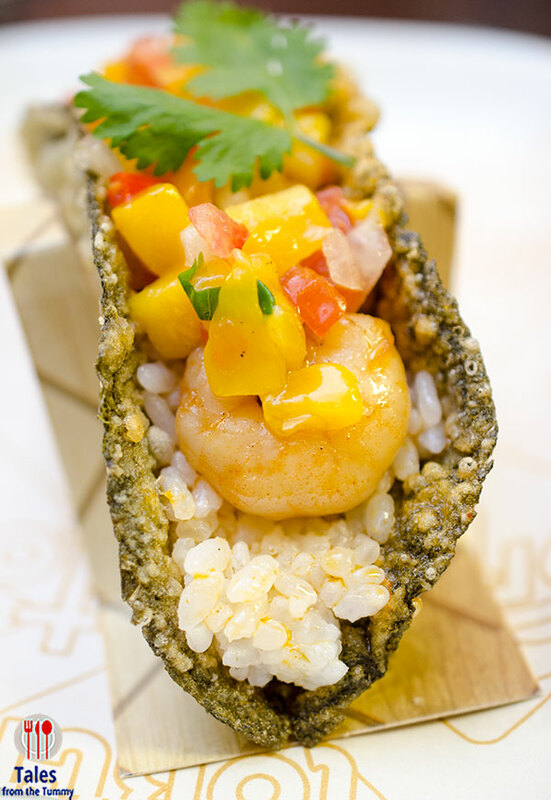 This is a combination of shrimp, spicy olio sauce, mango salsa and cilantro. The Oniku (P202.95/1pc, P384.95/2 pcs). 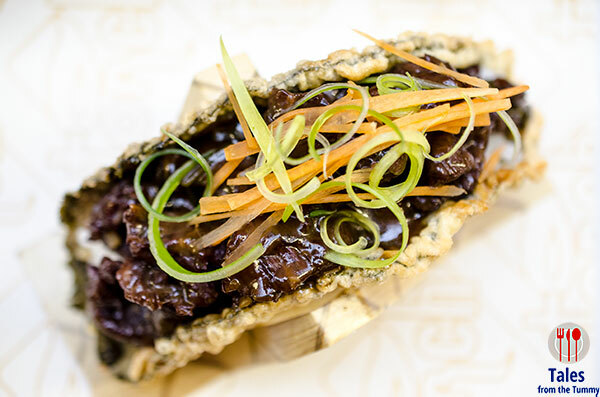 This noritaco goes the cooked and savory route with US angus beef cubes and shiitake mushroom in teriyaki sauce and topped with leeks and carrots. Chuka Iidako (P152.95/1pc, P287.95/2 pcs). The hands down favorite of the night, a mix of spicy baby octopus, sesame, cucumber and spring onion. 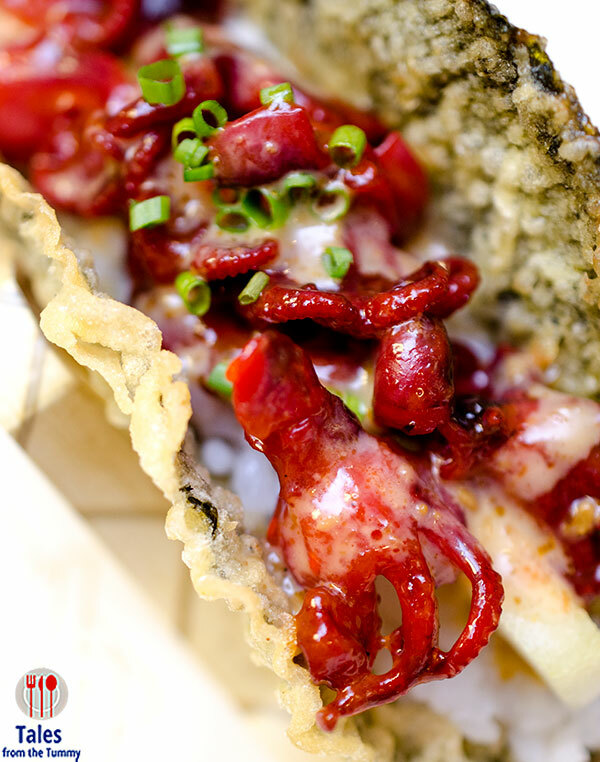 The spiciness gave balance to the crisp seaweed taco shell as well as the ample rice inside. 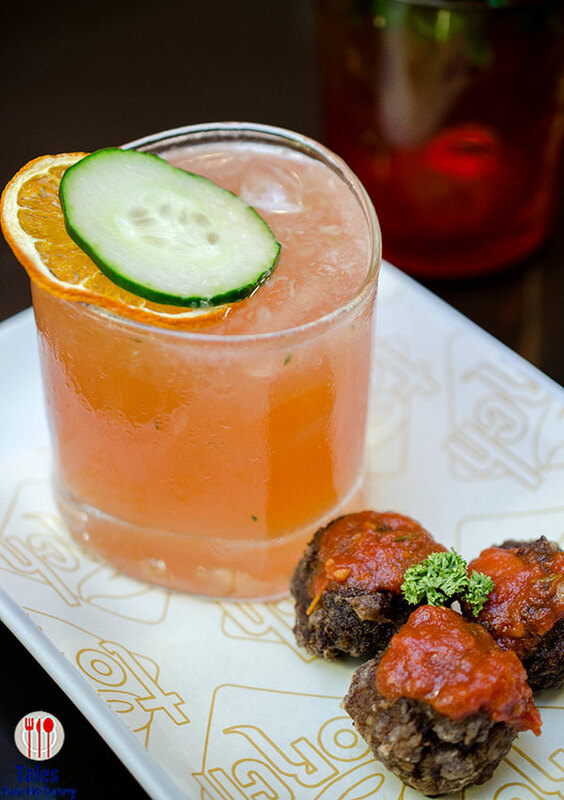 For the elevated cocktails, each order comes with a savory side dish of your choice (nori chips, US angus meatballs and fish croquettes). 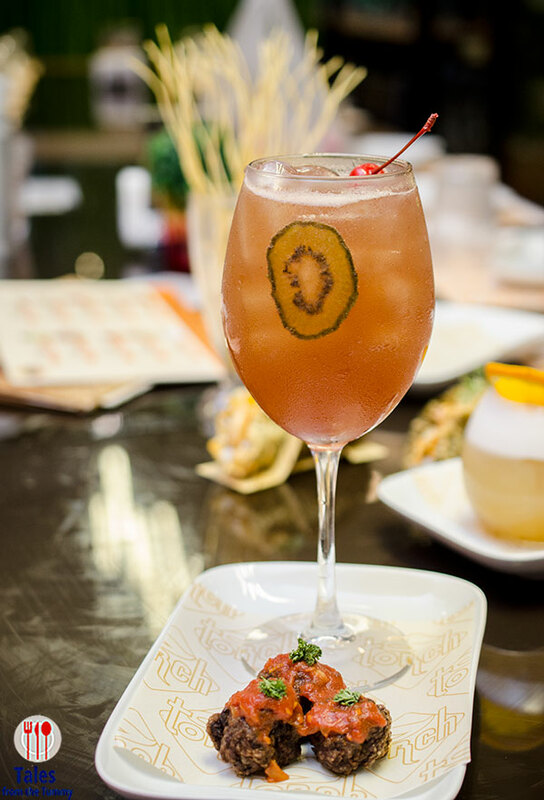 The Piston (P379.95) is a mix of Henessy VS, lime juice, ginger and berries. The Scald (P384.95) is a mix of Laphroaig Single Malt, Angostura Bitters, egg white and lime juice. 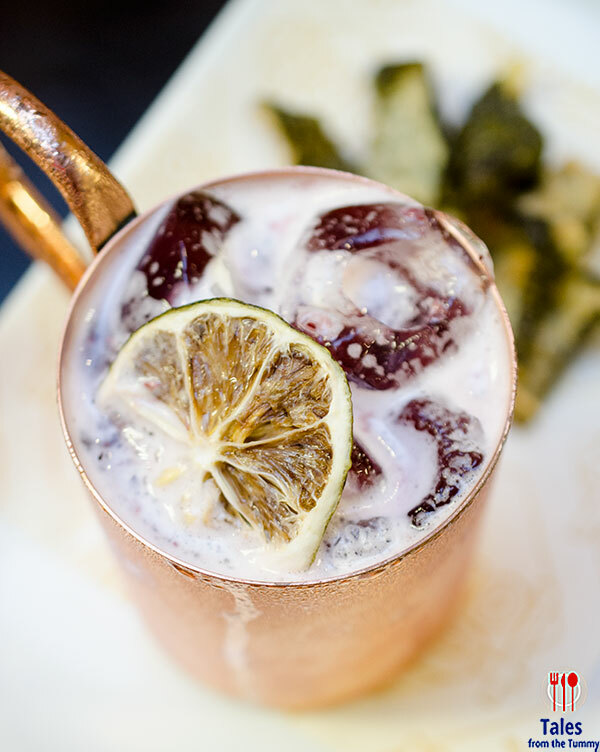 The Singe (P384.95) is a mix of Smirnoff Vodka, Matini Rosso, soda water, lemon juice, black cherry and raspberry. The Wither (P311.95) is made up of Jose Cuervo traditional , Campari, orange juice, lime juice, cucumber and orange.